Developers, thank You for new 2017.2 version ! De-laged, higher fps, removed some bugs. Perfect job ! Yeah, big thank you. Very nice!! Yes, it's a great version! Awesome job to all involved! At first thank you very much for your A3xx Versions. Nice to fly. Your improvements very realism. Wish for that, are some information text if I fetch a knob. Then I know if the nob for using it. Very usefull a canvas reaslisation of the left screen with speed and altitute. .OK and now to the FGFS Version 2017.2.1. For flights at low altitude, I am very enthusiastic about the detailing. But I fly with an A320 at a height of 10000ft and higher the scenery quadrant build very slowly. Large areas of land are growing only hesitantly. Stay white for a long time. 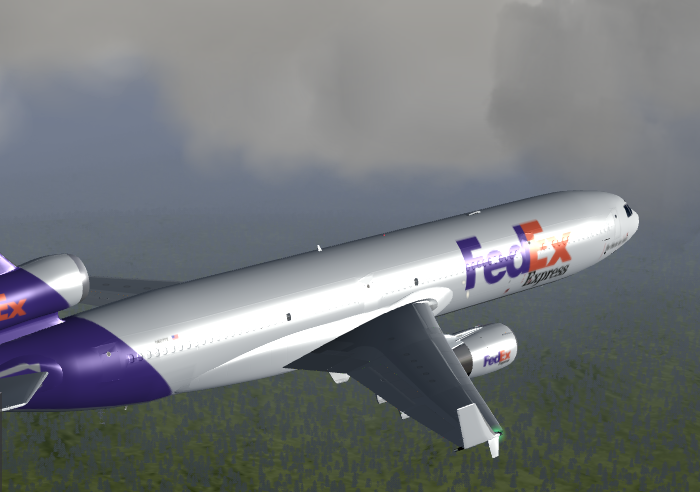 What can I still adjust (FlightGear), so that improves? Please ask for support !!!!! System: Win10, AMD Athlon (tm) II X4 640 Processor 3.00 GHz, nvidea GeForce GT 630, 16 GB can be used. If you go into menu and then LOD, and set 'bare' to a higher value, it should try to download scenery further away from you. But beware it might affect framerate performance. It could also be that your Terrasync is slow, not much to do about that, except switching to use terramaster. But I fly with an A320 at a height of 10000ft and higher the scenery quadrant build very slowly. Large areas of land are growing only hesitantly. Stay white for a long time. Last edited by sp-lcz on Sun Jul 30, 2017 6:11 am, edited 1 time in total. I Checked them to set LOD Bare to higher level. I used Terramaster as scenery source. For Terrasync I has good performance by download from server. Two flights and an 1/2 hour later I find the best LOD for me. Best result with your suggestion. I didn't want to create new topic. Last days my FG 2017.1.3 was starting crashing to often. Before was almost perfect. In this kind of situation I have always decided to full reinstall (including scenery and other data files). 1. Camera is changing into observer view: often when I am using Right click mouse to look around in any camera's view, camera jumps into observer view. Not always but often. It is frustrating. 2. One day I was flying by SU-27SK (copied into external folder with link in FG, not FGAddon), I didn't change anything ... next day I can't see this plane on my list to choose aircraft. I have checked all options, show only installed aircraft and so on. Totally I don't understand it ... but I can live with this not too big problem as others aircrafts are available. I would like to know if anyone has similar problems. For me the first problem is frustrating, others are "acceptable " for me. sp-lcz wrote in Mon Aug 28, 2017 8:18 am: 1. Camera is changing into observer view: often when I am using Right click mouse to look around in any camera's view, camera jumps into observer view. Not always but often. It is frustrating. 1) - That never happens to me, maybe some custom code in the aircraft you are using does this? Ad.1. It happens in every aircraft as A3xxFamilly and other from FGAddon or FGUK so I assume that this is not related to the aircraft. Ad.2. I am sure that in Addons tab I have correct link to the aircraft folder - I have more than 200 aircrafts, I see other aircrafts. Problem no. 1 was resolved by unmarked Observer view from Available cameras menu. Other question: I change zoom in cockpit view camera, when I change to other camera and come back to the cockpit zoom is default. FG doesn't remember my zoom setting. In previous versions I didn't have such a problem. Anybody knows solution for this?